This year we have teamed up with The Seashell restaurant. 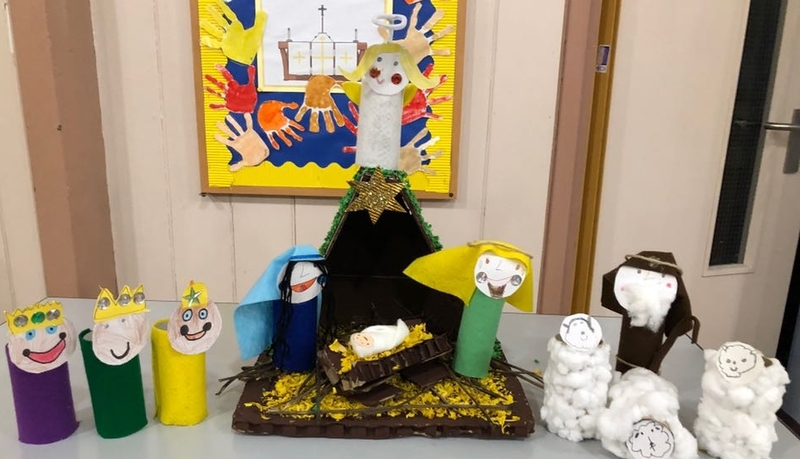 They asked us to create a Nativity scene for them. 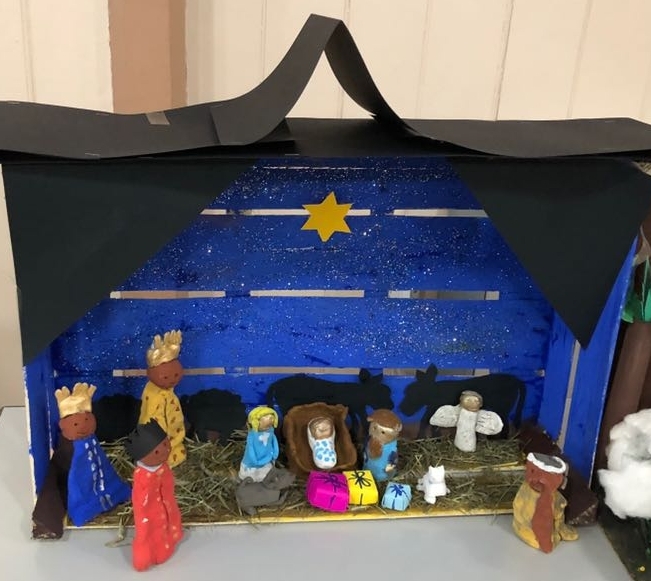 We had a whole school competition and Mena Rego, our Chair of Governors came in to judge the winning entry. It was a really tough decision as all year groups made a huge effort. 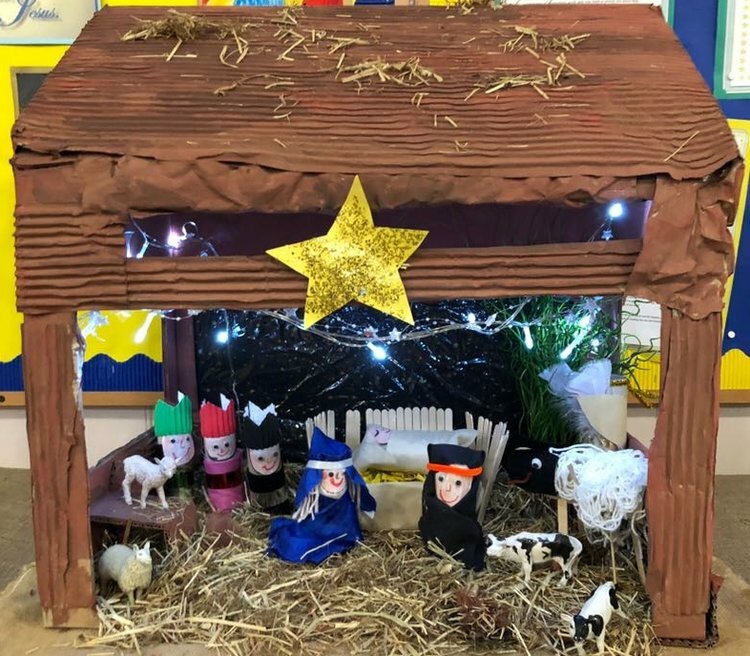 Class 14 were the winners, with Class 4's crib. Congratulations to both classes! 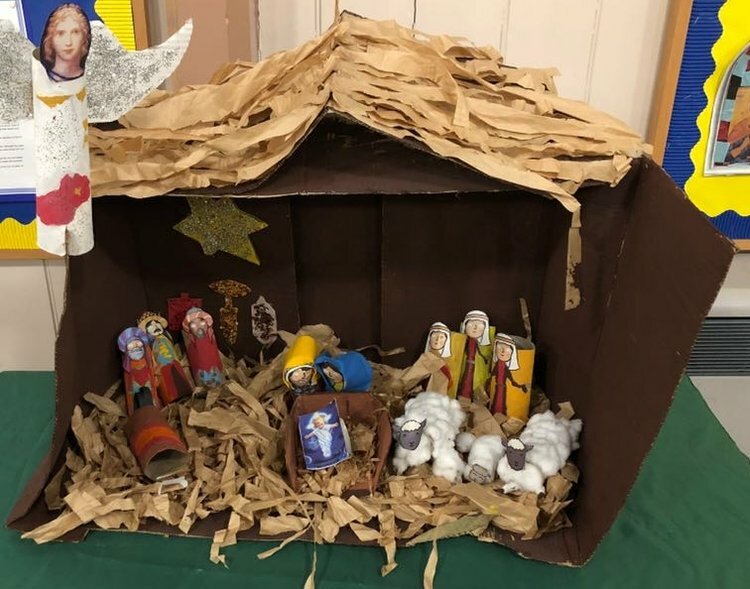 Our winning entry from Class 14, with the class 4 crib on display in The Seashell Restaurant, Lisson Grove.